Receive an email a few months after regarding your account with our Transfer agent. 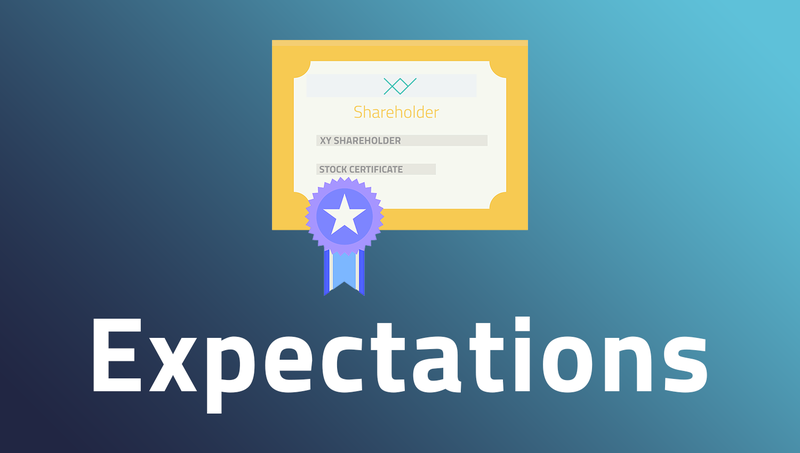 This is a crucial step if you want to become an XY Equity Owner! If you haven’t purchased equity in XY, you won’t be able to receive all the perks that come with being an Investor! This means you won’t be able to sign your Investment Receipt, receive your XY Investor Package, or become a part of the XY Investor Community! Still haven’t purchased your shares? Click here to invest! You may not receive this email for a few months after investing. Once you receive this email, it is imperative that you create account with our transfer agent, should you want to receive any financial benefit or loss associated with your XY Equity.